So this year I've been being pretty sensible with my money, I've been saving up for music equipment. I wasn't really aiming for anything in particular, just to have enough money to buy something if it caught my eye. 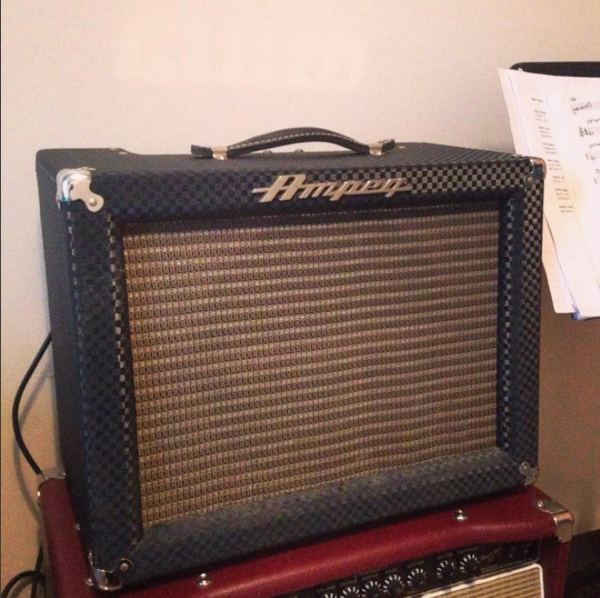 I've wanted a vintage Ampeg amplifier for a few years, from the demos I've heard and the artists that use them they've been something I've always wanted to try. On a semi regular basis I'll do a quick search on ebay to see if any pop up, and they basically never do. But today I found this, after contacting the seller we agreed on a price so I wouldn't have to bid. Later this week the amp will arrive and I'll post a bunch of photos and probably a quick video demo. That is clean. Looks like a reissue or something. Crazy. Yeah it's crazy, I thought it was a reissue when I saw the photo on ebay. Only problem is now I need to find a step down transformer. Anything in particular I should look for/avoid? Sounds like the sort of question you'd want to be asking NickS. I've always wanted an old Ampeg. Wish I'd bought one of those similar to Watts's - love that classic Ampeg grind'n'chime. It's a really, really good amp. My main squeeze since I got it. I was not happy with the Celestion 2112 speaker at first but now that it's broken in it sounds bloody good. Or its just grown on me. Bonus plus on an Ampeg: Watching somebody unfamiliar with the Baxendall tone circuit trying to dial in some sounds. Good score on this Gabriel! I have 2 of the GVT15H's and the Baxandall circuit is a bit confusing, but super versatile. Amplifier has arrived and it sounds amazing. I've dropped it off at Flynn amps so they can give it a service and see if they can convert it to 240 voltage. I'm also going to swap the original speaker out for something more efficient. The stock one sounds amazing, but it gets speaker breakup once the volume is pushed above 12 o'clock. I'm thinking an Eminence Cannabis Rex if I can pick one up secondhand. Got the amp back from my tech on Saturday. It sounds amazing. I put the Eminence lil texas that I had in my Rivera in and its more than doubled the volume so this amp will easily keep up with my band. So happy with it. I'm planning on doing a video demo with my friend recording the audio properly at some point very soon. 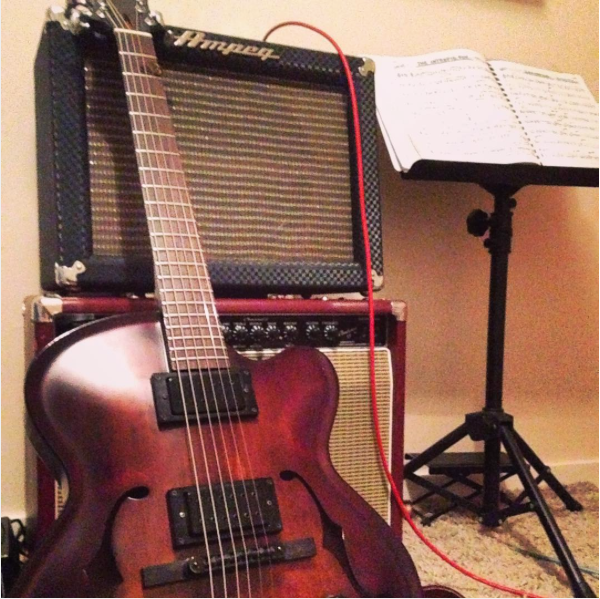 absolutely lovely rig, gabriel. very tasteful. Here's a quick video from my mobile. Really love how this amp sounds.